Influencer marketing has cemented itself as a proven — and growing — tactic within the marketing mix. For brands whose fate rests in the hands of younger audiences, influencer marketing is a skill that cannot be ignored. An area of the influencer space that is particularly fascinating has been the rise of the style influencer. Over the last few years, the presence of the style influencer has expanded beyond the blog and into other social platforms such as Facebook, Instagram, and YouTube. We analyzed Earned Media Value (EMV) data from over 50,000 influencers for 60 brands in the style category during the 15-month period of January 2015 through March 2016. The data was provided by our partner in the influencer space, Tribe Dynamics. 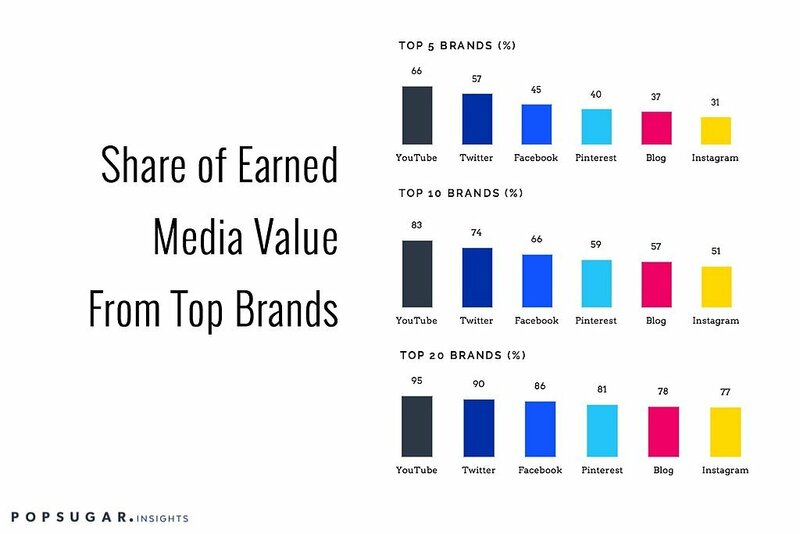 For those not familiar, Earned Media Value is a tangible way to quantify the value of social conversations about your brand. 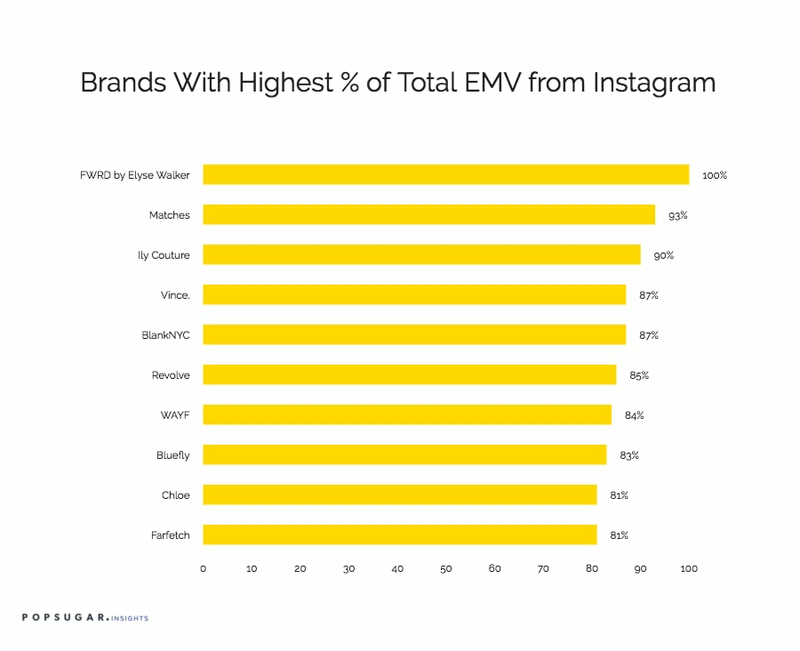 Instagram was the top source of EMV for 56 of the 60 brands analyzed. On average, 65% of a brand's total EMV was generated from Instagram. Some brands have focused so heavily on Instagram that less than 20% of their total EMV was generated from the other social platforms. 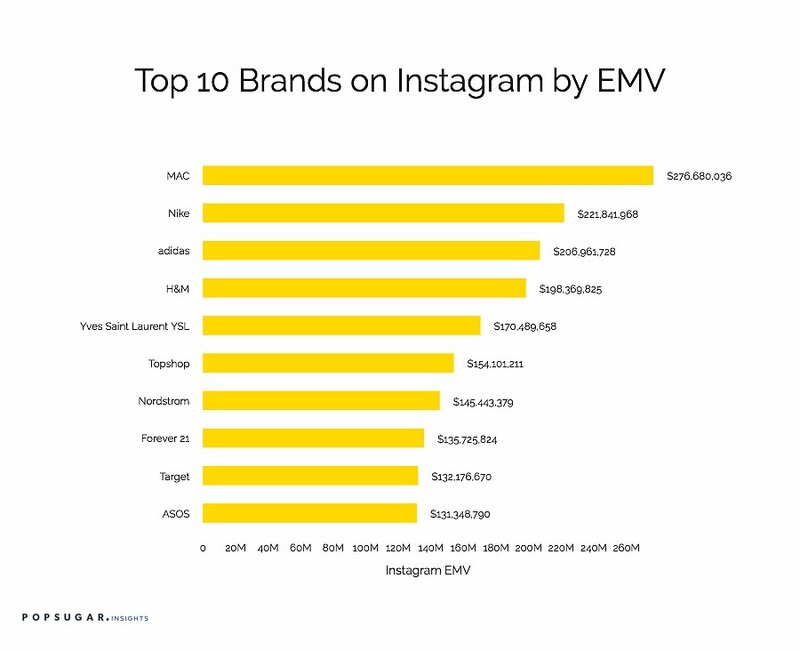 Ten brands earned over $100M in EMV from Instagram alone. MAC Cosmetics, a brand with 9.5 million followers of its own on Instagram, generated the most EMV during the 15-month time frame. In terms of growth, EMV across Instagram has increased 6% over the last six months across all 60 brands, however not all brands have grown during this time period. In fact, the top two brands over the last 15 months, MAC (-11%) and Nike (+4%), are performing below the average over the last six months. The brands growing fastest across Instagram over the six-month period from October 2015 to March 2016, from a percent growth perspective, are lead by newcomers FWRD by Elyse Walker and Eliza J. 2. Amazon is a giant in the social space, too. Among the set of 60 brands in our study, Amazon generated the highest overall EMV with $588 million over the period measured. To put this figure into perspective, the retail giant had higher EMV than over half of the brands we analyzed . . . combined (including some of their own brands). 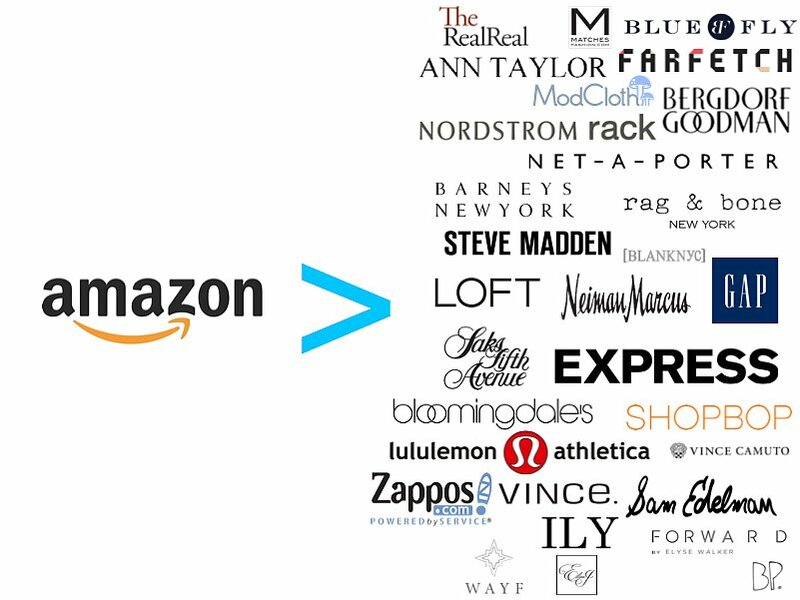 What's odd, however, is that despite Amazon dominating in overall EMV and Instagram being the dominant platform within the style space — Amazon ranked No. 25 on Instagram. Amazon ranked No. 1 on blogs, YouTube, Facebook, and Twitter. Amazon ranked No. 2 on Pinterest behind ShopStyle (a POPSUGAR brand). 3. There is an imbalance of EMV power on YouTube. 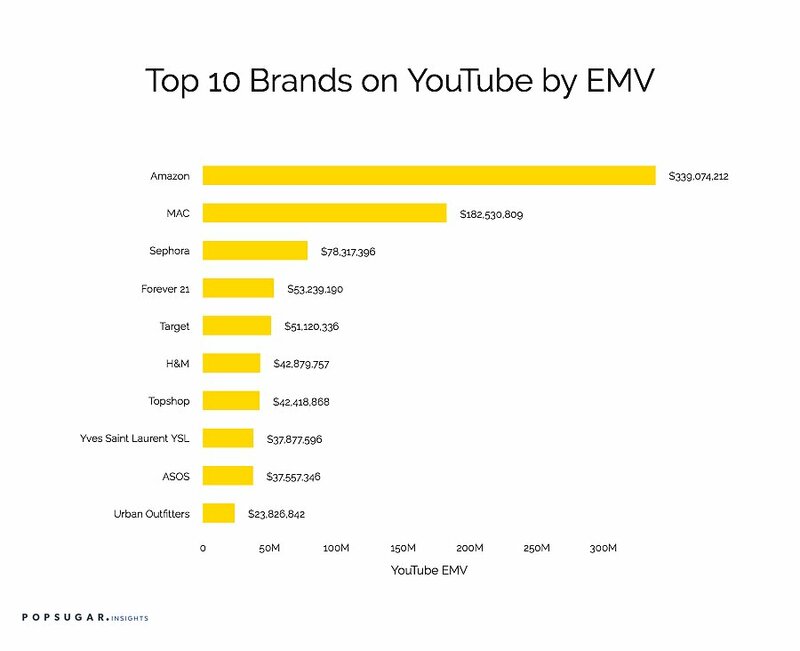 The top five YouTube brands account for 66% of the platform's EMV. By comparison, the top five brands on Instagram account for just 31% of the platform's EMV. Despite the dramatic decrease in video production costs in the YouTube era, the platform appears to be a hurdle for the small up-and-coming brands. As a result, the majority of EMV is spread among a small number of the brands we measured. As shown below, the top 10 brands on YouTube are established and have significant marketing budgets to boot. The brands winning in this space have developed influencer strategies and have invested in understanding how to bring their brands to life on these platforms. POPSUGAR partners with leading brands like these through The Bakery, POPSUGAR's full-service content studio, to help at every step of the way. If you are interested in learning more, please contact us.